Back in the early 1960s, FlourishAnyway's mother-in-law was one of those rare, bold women who bucked tradition and proposed to her beau. My mother-in-law, Ruth, was always a bit of a rebel, particularly for the early 1960s. 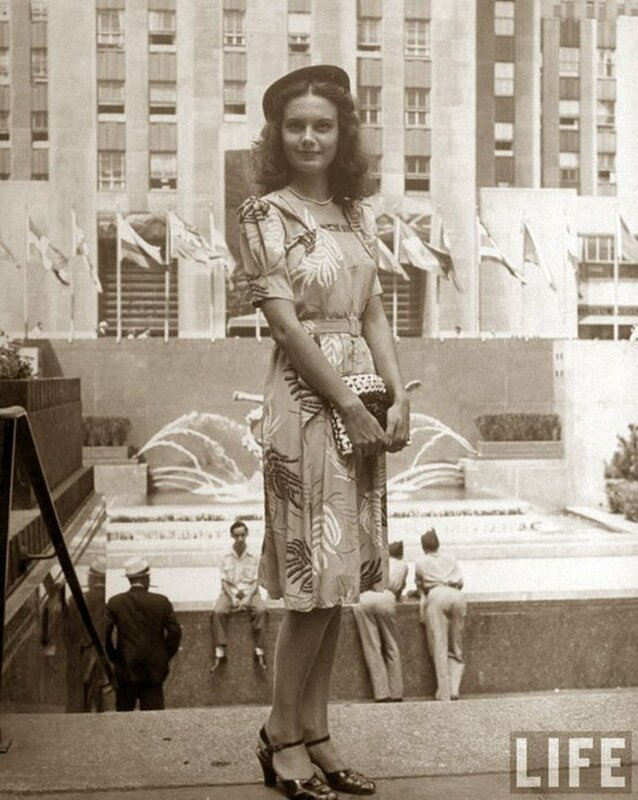 An unhesitating woman, she was boisterous and direct—a middle child who sought the spotlight all her life. By the time Ruth was a young woman, she had already turned down wedding proposals from at least two crestfallen suitors. 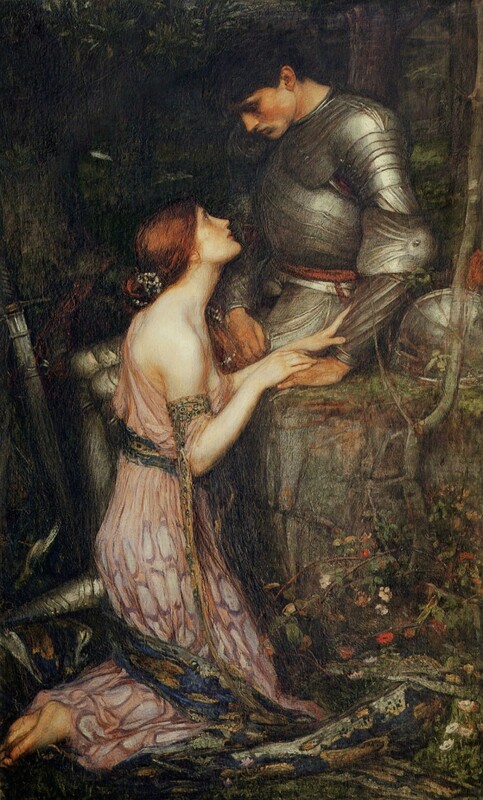 Then Ruth met Hal, the quiet engineer she was determined to marry, and she decided not to wait for him to propose marriage, as engineers are known for being more prone to deliberation than to decision making. 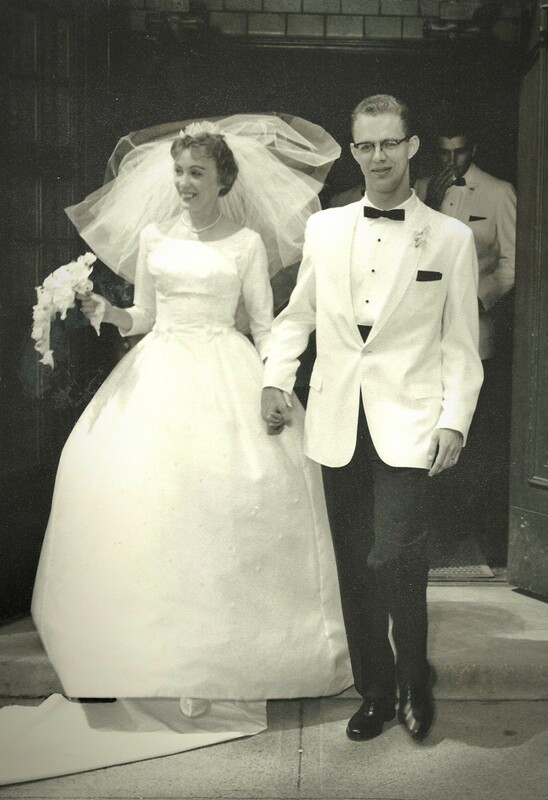 Within six months of their meeting, Ruth took charge of their relationship and asked Hal to marry. It was a preposterous move that went against all convention. (Still does.) However, she didn't care. All he had to do was agree. The groom-to-be even converted to Catholicism so Ruth's reluctant parents would approve. Over the next 40 years they had three kids and a charmed suburban life before cancer finally stole her. My mother-in-law, Ruth, popped the question, he said yes, and they were married for 40 years. She was always a take charge gal. When it comes to careers, women have made significant inroads while men have stepped up their game in the areas of child rearing and housework. However, proposing marriage is still largely a man's prerogative. It's still a boy-asks-girl world. According to an AP poll, three-quarters of Americans contend that in theory it's acceptable for the woman to get down on one knee. However, when it comes to actually putting a ring on it, only 5 percent of currently married couples involved the woman proposing to the man. (The figure is no higher among couples married within the last decade. )1 A couple is more likely to have the groom take the bride's name than reverse the traditional roles of who does the asking. So what's the deal with that? Who should do the proposing? 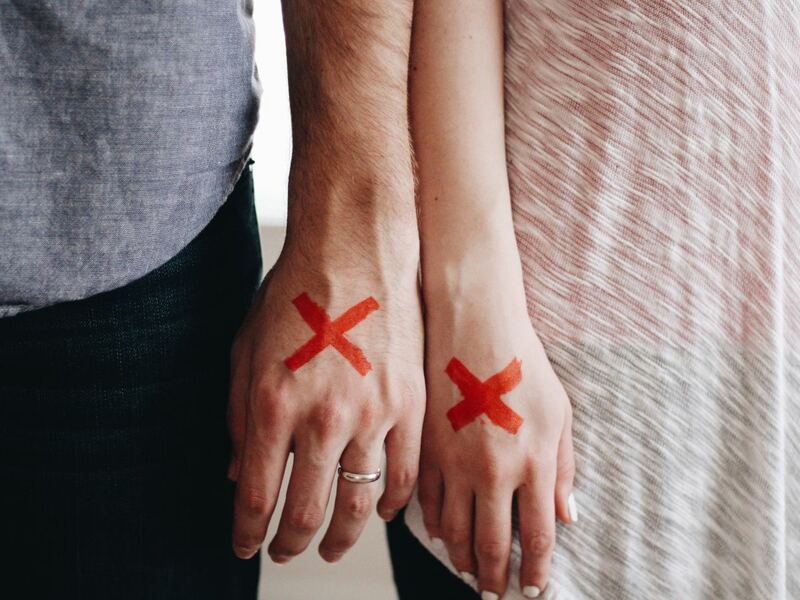 Why don't more women ask their dudes for their hands in marriage? as a way of settling a family's debt. The modern engagement ring, presented as a gesture of sincere intent, is based on the traditional bride price.3 The opposite of a dowry, the bride price was a token amount of land or money given by a prospective groom to a woman's father. While traditions might seem comforting and cozy at face value, it's important to understand that power and control are at the core of the boy-asks-girl engagement standard. Ask yourself what traditions you wish to keep and what traditions aren't worth passing down. Ladies, how emotionally stable are you? Do you need a man to make your decisions for you? In the 17th and 18th centuries, when people began to marry more for love than wealth or status, women were considered too emotionally fragile to select their own life partners. This doctrine advocated that women, being such irrational and emotionally volatile creatures, had to rely on rational, logical men to provide them with leadership and key decision making. That meant that men retained the choice of how, when, and whether to propose marriage. Today we still struggle with the implicit assumption that males are the leaders in our love relationships. This is particularly the case in many religious and cultural communities where it would be an assault on the man's masculinity for the woman to do the asking. But is this fair? Why should the man be the decision maker in moving a relationship forward? If you grew up on stories of Cinderella and Snow White like I did, then as an adult watched season after season of The Bachelor, there are romantic notions deeply ingrained in your psyche about the way engagements are "supposed" to go down. The knight in shining armor rides in on a white horse to rescue the fair maiden. As society gradually saw women more as people than property, strongly ensconced gender roles were at play. These gender roles encouraged men to be providers and women to be nurturers and the beneficiaries of all that men could bestow upon them. Marriage was a precious "gift" that a man provided a woman. Males typically had the decision-making power when it came to timing the engagement. 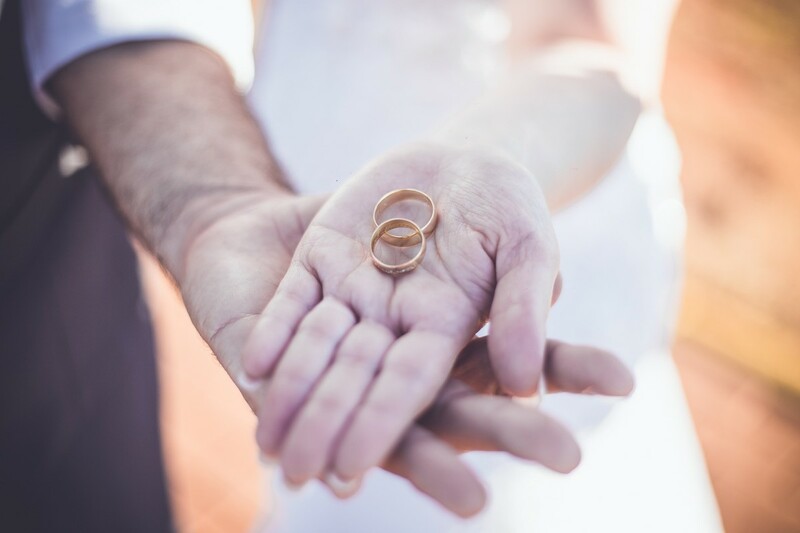 Men were expected to be the sole breadwinners, thus they timed their marriage proposals according to when they could financially assume that role. Although that long ago childhood fantasy is nice, speaking up for yourself and getting what you want is even better. Do you truly want to wait for someone to rescue you? Come on, now. You're not that helpless. 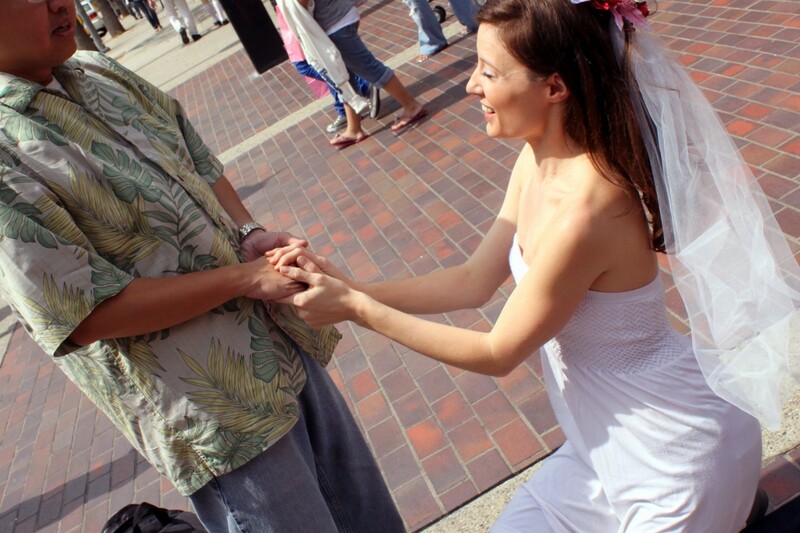 Do You Wish More Women Would Pop the Question to Their Guys? Sound Off in the Comments Section Below. he doesn't see the need to move the relationship to the next level. Women take it upon themselves to propose marriage are assumed to be desperate or pushy rather than in love and decisive. 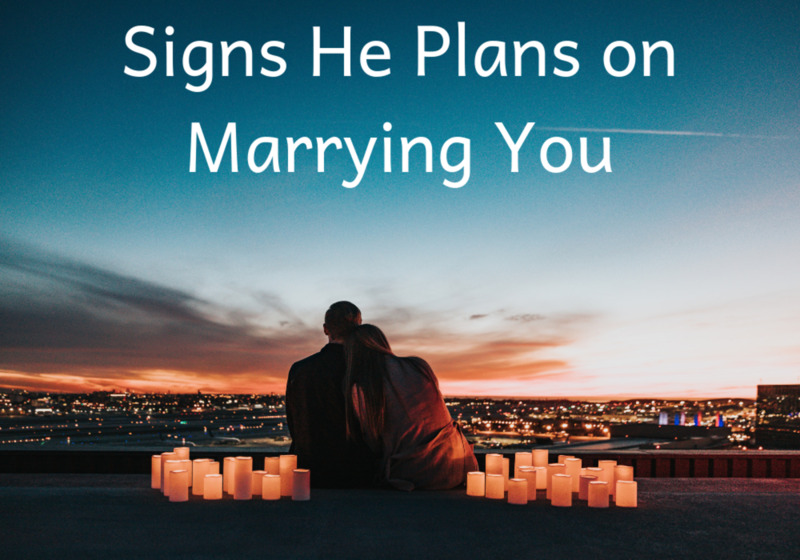 While he may get high fives by the guys for your bravado, you may get expressions of mixed awe, bemusement, and pity that you had to step up to the plate. But seriously. How much do you care what others think? You do "you" and don't let others shame you for advocating for yourself and your relationship. If asking your guy to marry you is the right decision, then go ahead and move that relationship forward! Her father was a wealthy and prominent citizen in the town of Dogpatch, and he feared that Sadie would be single and live at home forever. He therefore devised a plan involving a footrace. All of the unmarried women pursued the town's bachelors with the prize being marriage for those bachelors who were caught. Although it wasn't the intent of the comic strip to start a movement, it did just that. Each November there are still Sadie Hawkins dances in which women turn the tables on the men, inviting them to the dance. (There is no particular day in November designated as Sadie Hawkins Day.) 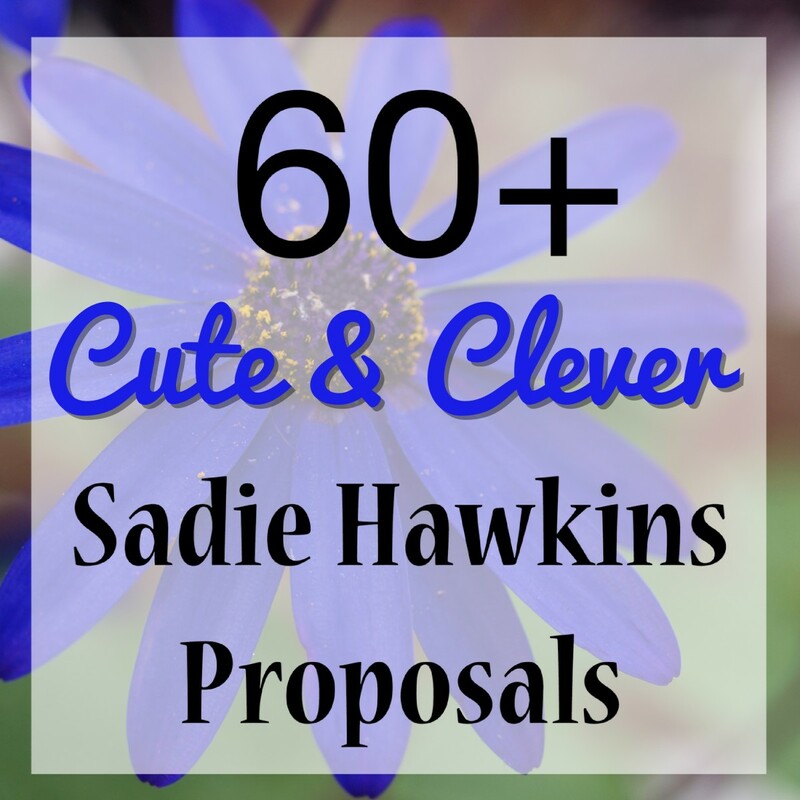 In addition, women who propose marriage to their men are sometimes referred to as "Sadie Hawkins girls." St. Patrick thus proclaimed that every four years, on leap year, ladies could have this one day to flip the script on their socially awkward suitors and propose marriage. Any man refusing such a proposal must give the dejected lady a silk gown, a sum of money, or twelve pair of gloves (to hide the shame of no engagement ring). It's unfortunate that the folk tradition labelled women as desperate and pushy when its origins center on the men's shyness in asking. A third exception to the traditional boy-asks-girl prosal is Orango Island (Guinea-Bissau), an archipelago of 50 islands off the western coast of Africa. 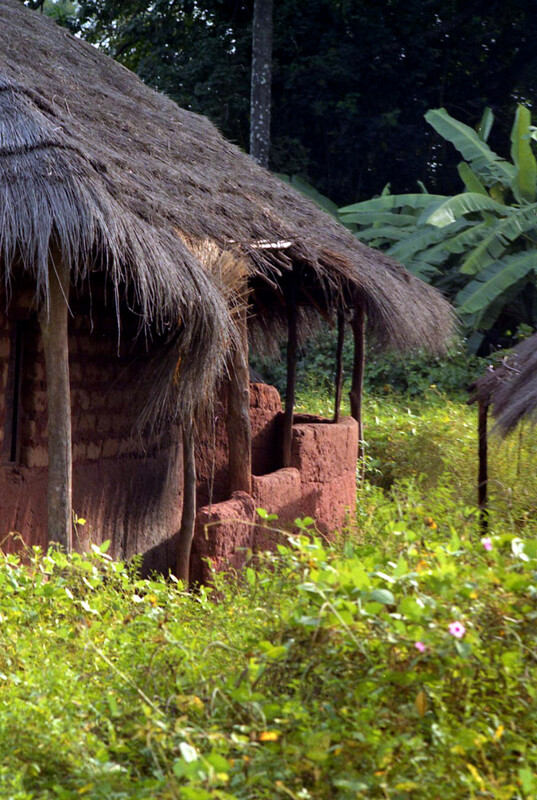 Honoring their matriarchal culture, the Orango women propose marriage by entering the grass-covered hut of the man they select for lifetime partnership.7 They place in front of the groom-to-be a meal of fish, marinated in red palm oil. Declining is not an appropriate option, as it brings dishonor upon the man's family. In recent years, Protestant missionaries have made begun to change the cultural practices of the islanders by teaching them that men should propose to women. 1Cass, C. (2016, May 3). AP-WE tv Poll: Americans say it’s OK for women to propose, but few marriages started that way, poll shows | Associated Press GfK Poll. Retrieved from http://ap-gfkpoll.com/uncategorized/our-latest-poll-3. 2McTernan, L. (2016, December 14). Why men historically propose to women. Retrieved from http://www.thelist.com/34169/men-historically-propose-women/. 3Thompson, J. C. (2010). Dowry and Bride Price in the Ancient World. Retrieved from http://www.womenintheancientworld.com/dowry%20and%20bride%20price.htm. 4Barkhorn, E. (2013, March 15). Getting Married Later Is Great for College-Educated Women. Retrieved from https://www.theatlantic.com/sexes/archive/2013/03/getting-married-later-is-great-for-college-educated-women/274040/. 5Capp Enterprises. (2013, December 11). Sadie Hawkins Day. Retrieved from http://lil-abner.com/sadie-hawkins-day/. 6Lynch, A. (2016, February 29). This is why women traditionally propose on a leap day. Retrieved from http://metro.co.uk/2016/02/25/this-is-why-women-traditionally-propose-on-a-leap-day-5718135/. 7 Clark, A. (2007, February 1). Where Women Propose And Men Can't Say No. 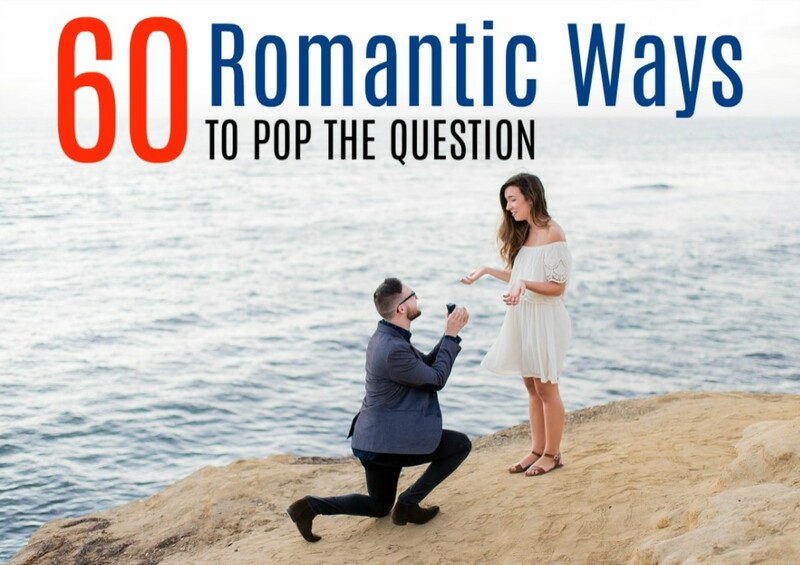 Retrieved from https://www.cbsnews.com/news/where-women-propose-and-men-cant-say-no/. Peggy - I'm so glad you enjoyed this. It would be quite a shame if their culture was changed by the outside. Thank you for stopping by! That is interesting that women usually propose to men on Orango Island in that methodology. I had not known of that custom but then I am also not familiar with Orango Island. You always come up with intriguing facts. LimeyFeline - How awesome that you would have done so! Seems like more and more women are open to it. Larry - Thanks for weighing in. I suspect the coming years will see some changes. I imagine that in America it will be mostly tradition that the man does the asking, however there are exceptions. I know in some other countries it seems more commonplace that the woman asks. Even though I am from the old school, I see no problem with a woman asking. If there is strong love between the two it should not make a bit of difference. Cynthia - Yes, I agree on the boo to the prosthelytizing gone amok. Leave the locals alone! Thanks for stopping by and commenting. Such a fun and informative read! Boo to the Protestant ministers in Orango for attempting to change a wonderful matriarchal rite. Nikki - Thanks for stopping by and providing your opinion. It would be nice if we were not caught up in so many rules. Good idea FlourishAnyway,, I feel in love no matter whoever proposes,,ending should be nice and happy always.Though it doesn't happen in most cases. Traditions are changing now and women are more liberal and have guts to propose first. Nell - It's odd they are such a rarity. Thank you for stopping by and commenting. I love the idea of the Guinea tribe, got ya! lol! I do think women these days may propose to the guy, not sure to be honest, great thing to think of though, and very interesting. Peg - You've got an excellent point. This is too important a question to formally ask without already knowing the answer! Traditions are truly changing. I believe that marriage is something that should be discussed at length before someone commits to it. It should never come as a surprise to the other party no matter who does the asking. Sometimes women (or men) might need to initiate the discussion to get where they want it to go. Larry - I like your perspective. I wish more men understood it. Thanks for sharing it. I can't think of a single problem with women asking the question. I will say that the asker is much more vulnerable than the askee. Traditionally speaking, not that I care about tradition, women do most of the hard stuff. One could think of men having to ask as them carrying the weight for once. Heidi - We all do the steering in ways either subtle or less so. Women who do the asking are just right out there rather than being vague about it. Love the culture references. Have a great Superbowl Sunday! I say more power to HER! I don't think it matters who proposes. But I do think the one who asks, "Where is this relationship going?" usually is the take charge partner who's doing, what they call in sales, a trial close. And I'm reminded of two particular Star Trek: The Next Generation episodes where women were in charge of relationships or ruling (Code of Honor and Angel One). Yves - I like your comment. It's too bad that we'd seek to change what is working well for native people in order to fit our own value system. Some say that marriage is an outdated institution, but I hope not. I have found value in it. Thank you for sharing your perspective. Have a wonderful week ahead! Devika - Thanks for weighing in on the subject. I appreciate your comment. Kallini - I like that someone proposes so that both partners know there was actually a decision, but I can understand how so many people just step into it naturally with no formal proposal. I'm sorry if this triggered some bittersweet memories, being your 25th anniversary. I really feel badly for people who propose in a very public way then suffer the humiliation of a rejection on the spot. Then again, I guess they should know where they stand in the relationship before they ask that big question in such a public way. That's a complicated question - who should propose? I think there is no "should" any more in modern society. Marriages have changed so have proposals. It was easier when there were clear rules. Now, everything has shifted. I had almost wanted to say that I would never propose to a man. I won't. Not to mention, I'm not too eager to have another marriage (for some reasons you mentioned). Now the irony. First of all, I was never proposed for the only marriage that I had. It was decided and I don't remember when and how. My ex was not much into appearances and ceremonies and I was more or less "no nonsense" woman. I thought that if we had no "propositons", it could be a modern option. And I would happily conclude, that I lived without any marriage proposals, which actually is not true. They were not conventional and I all but forgot. I saw a note in my calendar that February 6th is around a corner, but forgot that it was my marriage day. I start remembering only around St. Valentine's day (for a reason). And this year it will 25 years since the wedding. We are divorced now, so it is a weird anniversary. What I also forgot - I wrote in 2011 a hub "42 Marriage Proposals" (you don't have to read), but I did and it felt so... gone and forgotten as if I was writing about someone else. Of course, the question who should propose is valid, but how many of us do remember? Yes, if someone embarrassed me with kneeling in a public place, I would have, but where is the guarantee that it would not be a painful memory for life? Which will only cause not wanting any formal proposals at all. I am saddened that the missionaries, no matter how well-meaning, have chosen to interfere in the Orango tradition. What the African natives have, clearly works for them. On the other hand, in the U.S., most men are not shy about asking for marriage, engineer types aside. Mostly, they're just happy with the benefits of long-term relationships or cohabitation without the risk of losing half their assets if the relationship goes south one day. Any gender can propose but I prefer the man to do what he really wants for himself. Thank you for this interesting hub. Linda - It really is an antiquated notion that we don't often consider changing. Thanks for your comment. I'm glad that you wrote this article, Flourish. I hope it encourages more women to propose to men when they feel the time is right. I think that each gender has an equal right to propose marriage. Dora - Thanks for stopping by and sharing your perspective. It's not for everyone but more power to those ladies who decide to do the asking themselves. Kari - Thanks for weighing in. I've always wanted to go to one. 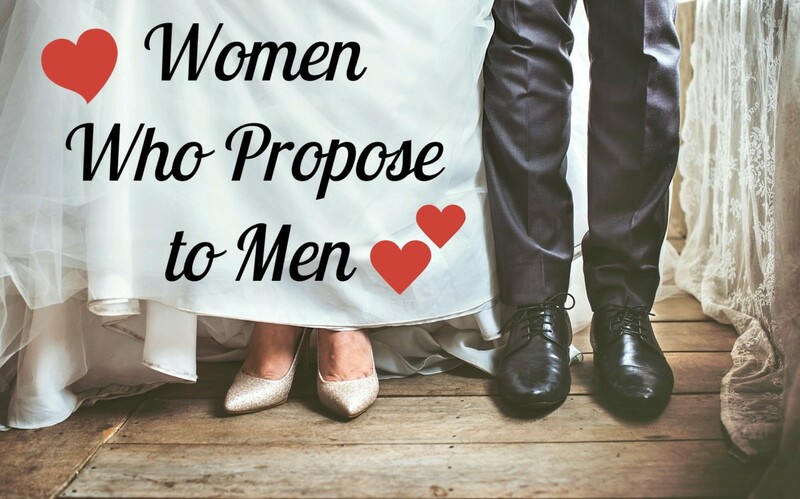 I think that many women who propose to men have good reasons for doing so. I admire them. Thanks for sharing these insights. I have heard of Sadie Hawkins Day, but never realized it originated in the Lil' Abner comic strip, lol. I do not see any problem with women proposing marriage. dashingscorpio - It's much better to feel the sting of rejection now than suffer years of regret. Loved your comment. MizBejabbers - Since the missionaries started tinkering with the island's customs and belief systems, advocating that this matriarchal society should switch to a boy-asks-girl standard, divorce has reportedly gone up. One place that we know of on the planet where reverse proposals are the custom and outsiders have to set about trying to "fix" it! Huh. I look forward to reading your future article. Frances - I sure wish I could find that! Thanks for stopping by and leaving a comment. What a great angle for a hub! I've actually seen footage of the Orango women where the men line up to be chosen - or not! How nerve wracking that must be. Another reason why many women will not propose is because they fear rejection. Silently going along in a relationship waiting to be proposed to at least gives them hope. Where as if they propose they'll find out right away if he feels she is "the one". Women also don't want seem "desperate". However if the guy says "yes" she'll have what she wants! If he says "no" she can save herself some time by moving on. Truthfully it's a no lose situation. One old adage is: "If it's not worth asking for it's not worth having. There's always been a little bit of irony for women see other women proposing as being "desperate" while giving a man an "ultimatum" is not. An ultimatum is nothing more than twisting someone's arm to get them to do something. Essentially it's a wedding proposal in reverse. Sure (he) is doing the "proposing" but you will always know it's only because you threaten to leave him! All marriages will have their share of challenges but at the very least they should start off with (both) people wanting to get married. Flourish, this is a great article, and here's hope it will inspire more women to pop the question to shy suitors. I was wondering about the subject of my next hub, and you've just inspired me to write about a couple of unusual situations in my family, my grandparents and my own second marriage. (Watch for it.) In the meantime, lets tell those darn Christians to quit fooling around with perfectly good marriage customs of the people of Orango Island. Linda - Those science and engineering guys often need a push (or shove) in the right direction to make a decisive move. Mine did a nice formal proposal finally, and I knew something was up because he took me to downtown Cinncinnati to see the holiday lights at night, and he actually paid for parking instead of driving about and finding a free parking space. Bill - Some of us have longer discussions than others. I'm glad that one or both of you was action-oriented enough to make it actually happen. Mary - High five to you, Mary. I love knowing that about you. I proposed to both my husbands. Although, the first was more of a joint decision just to elope. I see no reason why women shouldn't take charge of a situation. Love this so much and I think it's such a great idea. My husband and I didn't have any proposal but we did have a conversation where we decided together, but I would have loved to propose to him. I see nothing wrong with the woman proposing, but it isn't what we are accustomed to. Honestly, I don't think my husband ever really proposed to me (he certainly didn't do the 'down on one knee' thing). I think we just always knew we were meant to be together. And I guess that's the key, isn't it? Thanks for a sweet article. Mary - Especially as women become more economically powerful, I can see the balance evening out. I love Judge Judy's approach. Frank - Oh, that's a good story. Love it! What a great idea and as you've mentioned in your hub, not new at all. Why not? I think tradition will change in the near future around this. Shyron - As a young woman, I wouldn't have done it either. Instead of propose, I broke up with my long-term boyfriend (now husband) because I was frustrated with four years of long distance dating with no end in sight, only to have him accept a job assignment where I didn't want to move. After not being able to be without one another, he proposed and we moved to his new job area, however years later he fulfilled his promise and moved me to within spitting distance of my mother where I am now (one mile away). Couldn't be happier. What a wonderful article! I truly enjoyed reading it. Appreciations and kudos for your mother in law. I agree that it is still a boy ask girl, in majority of proposals everywhere around the World. But I feel happy to see that girls do choose their life partners, and also decide, when they are ready for marriage. Education, career, financial independence is priority for them, and not just Marriage. They also decide when to marry and who to marry. Who knows, a time may come in future, when more and more girls propose the relationship, and the boys happily agree to that. 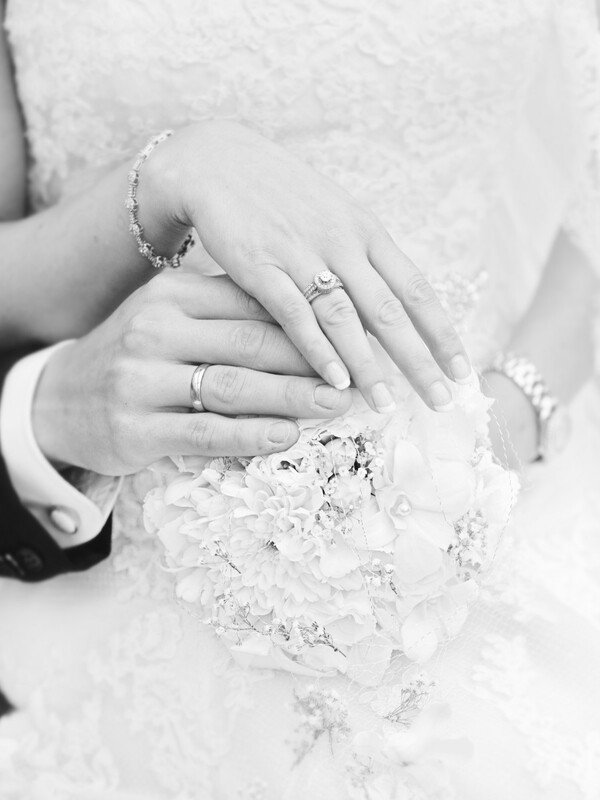 Flourish, I see nothing wrong with the woman asking for the man's hand in marriage, that is if the man is to shy or unsure, but I am old fashioned and would not be the one to propose. Clive - It's probably the most fretted about question about there.